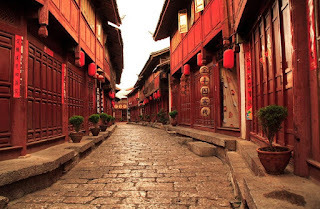 The latest trend in travelling China or lodging in China if you have not heard of or tried out yourself is lodging at some of the historical Guzhen or otherwise known as old city inns. These little inns can usually be seen in the alley ways of the villages or can be spied in the most unexpected places. Though never judge a book by its cover, do not be deceived by the antique appearance! Some of these inns are have the most modern interior imaginable with modern facilities and the most futuristic décor. The cobbled streets of Lijiang. What makes these little inns so fascinating is that each one is unique in it’s own special way. 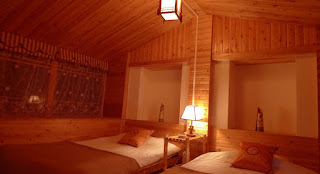 What’s more depending on where you visit in China the locations of these little accommodations will sure blow you away. 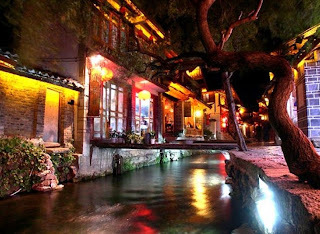 In Lijiang you can find some of the most pretty little places with streams and rivers as part of your balcony scenery. You can also find the most relaxing areas within the courtyards of these inns where you can chill and have drinks and have a chit chat with other guests. Warm cozy little room in one of the inns. For other scenic destinations like Yangshuo your cozy little place can even have the most unbelievable views of Guilin, with karsts and picturesque scenery all scenery access is available when you open your window or step out on the balcony, out the door or even from the garden! Lijiang and Yangshuo are only two of the many many places you can visit. Though if you’re not too willing to give up staying at hotels you could try staying in one of these little paradises for one day and you never know you might not want to leave! The amazing night view of one of Lijiang's inns. 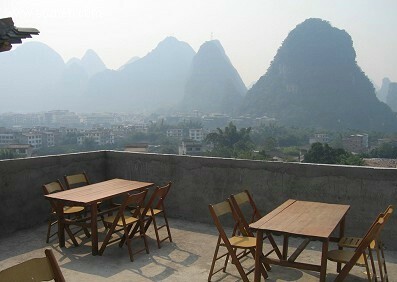 A wonderful view of Yangshuo's karsts.